The fossil record provides our only direct evidence of the evolutionary transformations that have given rise to modern forms. This extraordinary new specimen reveals the surprisingly late retention of dinosaur-like features in the skull of Ichthyornis – one of the closest-known relatives of modern birds from the Age of Reptiles. One has to ask how such a skull constitutes “direct evidence of evolutionary transformations”. We do not see the beak being transformed from a dinosaur skull. Indeed, even in the popular-level articles from which this information was gleaned, we see some startling problems. For example, ichthyornis is thought to have died out 83.5 million years ago. Yet, velociraptors – a potential therapod precursor to birds – was claimed not to have appeared until 75 million years ago, about 8 million years after the creature into which it is supposed to have evolved. 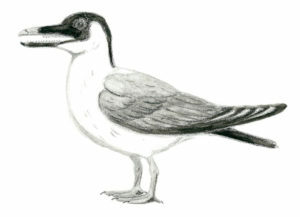 Even allowing for these problems with timescales, creationist researchers have noted that the evolutionary distance from ichthyornis to modern birds is less than that alleged to exist between many modern birds. One must conclude that ichthyornis has been assigned the world’s oldest beak merely because of an a priori commitment and bias to evolutionary theory. 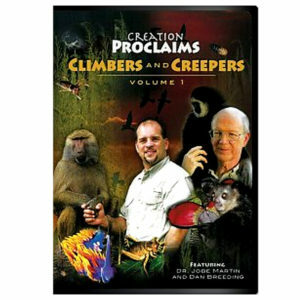 Lord God, we see evidence of Your unique designs in all the creatures You have made. Thank You that You have made all things well. Amen. Ref: Yale University. 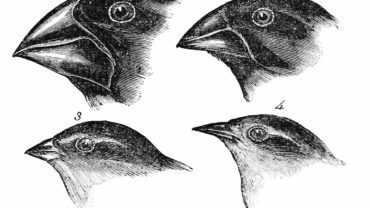 “Scientists find the first bird beak, right under their noses.” ScienceDaily, 2 May 2018. <www.sciencedaily.com/releases/2018/05/180502131859.htm>. Image: CC BY-SA 4.0.